Ranch-Style Home Now Available At New Price! 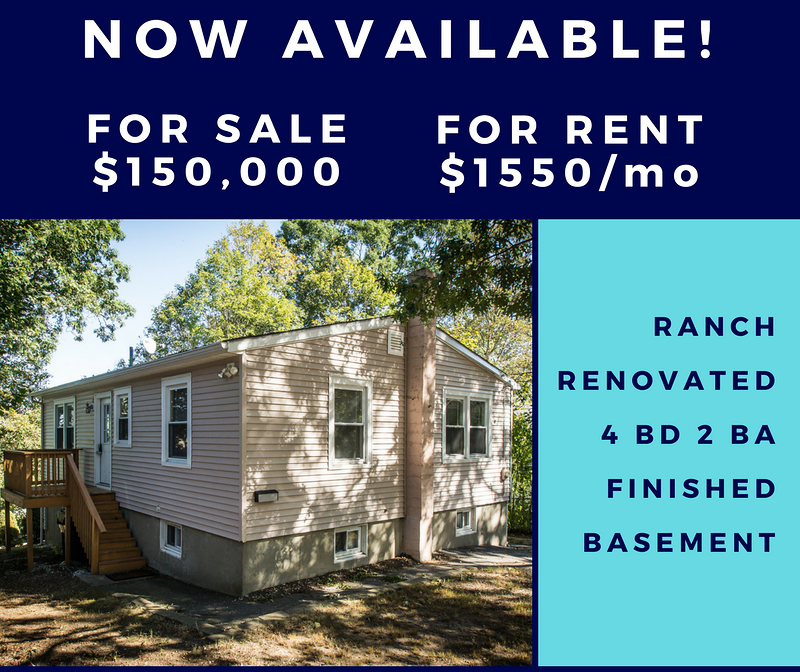 4 Bedroom & 2 Bath renovated home in New London now at $150,000 - OR - $1550/month for rent (*water not included). Features an eat-in kitchen, laundry room, and tiled mudroom. New carpet, paint, and laminate flooring. Entertain on TWO freshly stained decks on both sides of the home! Listed For Sale and For Rent (with rent-to-own and short-term rental options).